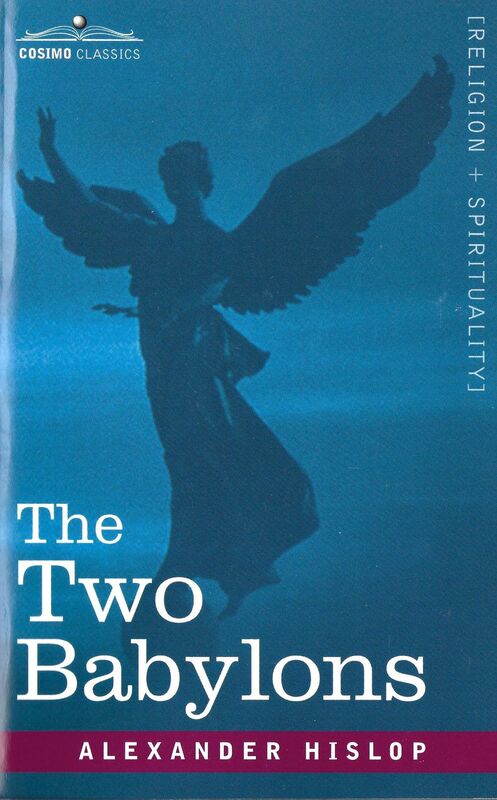 The Two Babylons or The Papal Worship by Alexander This book suggests that the RomanCatholic Church chooses to worship in a manner that is taken from paganism and is really a system of idolatry. There are several illustrations and facts given to prove that much of what the Catholic religion teaches is false and will not be accepted or well pleasing unto the Lord. The reader might wonder how a Christian can be deceived. Mr. Hislop suggests that it is a direct result of the "Mystery of iniquity" being at work. Little by little error is introduced and is accepted as the True Worship of God. I want to list some examples that the author gives to prove his point that the Catholic religion is based on false teachings. The Catholic Church gives a special place to the Virgin Mary. She is said to be a mediator or one who can take our petitions to Christ because she was His mother. However, we are plainly told that there is but one mediator between God and man'-'the Man Christ Jesus. Another example is the method in which the people confess their sins unto the priest. This method of confession binds men to being in subjection to the priesthood. We are told in the Word of God to confess our sins to God and to one another, and thus we are not subjected to the clergy. The clergy is instructed that they must remain celibate and not marry because they are married to God. And yet when we look into the Scriptures we find that the Apostle Paul instructs us to marry. Next, we have the festivals of Rome, of which we will mention but two. Christmas, or Christ's birth celebrated on December 25th, is directly associated with the birth of the son of the Babylonian queen of leaven which the heathen worshipped. The Bible does not give a date for Christ's birth. Mr. Hislop gives several reasons to prove that it was not December 25th. The other festival is Easter and the days preceding it such as the observance of Good Friday, Lent and the Easter egg, can all be identified in the Babylonian system of worship in the third century. We can read in the Bible not to get involved with these religious days. In closing, there are many more examples given which show the similarities that the Roman Catholic religion has with the false religion of Babylon. Since the practice of these traditions are proved to be in error, I am convinced that to worship God in this manner would be wrong. However, I still don't know if the Roman Catholic Church is that Apocalyptic Babylon that is found in Revelation.